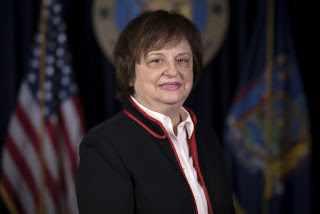 NEW YORK, N.Y. -- Today, New York Attorney General Barbara D. Underwood – part of a coalition of 8 Attorneys General – filed an amicus brief in support of students defrauded by Corinthian Colleges (Corinthian). The brief, filed in Calvillo Manriquez v. DeVos in the U.S. Court of Appeals for the Ninth Circuit, supports a district court's order halting the U.S. Department of Education (Department) from its practice of giving only partial relief to defrauded students. The Department has been granting as little as 10 percent loan relief to students who attended the now-defunct, predatory, for-profit Corinthian. The Department has appealed the court's decision. "Corinthian engaged in widespread fraud that left students with growing interest, ruined credit, and insurmountable debt. Yet the Trump Department of Education refuses to provide these fraud victims with the relief they deserve," said Attorney General Underwood. "Secretary DeVos and the Trump administration continue to put special interests before students – and we'll continue to fight back and hold the federal government to account." Corinthian intentionally targeted low-income, vulnerable individuals through deceptive practices and false advertising that misrepresented job placement rates and school programs, among other egregious misconduct. After intense scrutiny by various government entities, Corinthian abruptly ceased operation in 2015. Corinthian owned and operated Everest Institute Rochester in Rochester, New York, as well as online and in-person programs based outside of New York that enrolled New York students. The Department's own investigation of Corinthian concluded that Corinthian made widespread misrepresentations about post-graduation employment rates for certain programs, including programs that enrolled New York borrowers. Federal law provides that federal student loan borrowers may assert a defense to repayment of their loans where a school's conduct violates state law. This law reflects the common-sense conclusion that defrauded students should not be required to pay for loans when their schools engaged in fraud to induce them to enroll. After the collapse of Corinthian in 2015, the Department received tens of thousands of loan discharge applications; however, after the transition to the Trump Administration, the Department stopped approving pending borrower defense claims. After Attorneys General took legal action, the Department announced it would implement a new policy granting only partial relief to these borrowers. The Calvillo Manriquez suit challenged this partial relief policy and sought an injunction from the district court to halt it. By granting the preliminary injunction, the district court halted the Department from carrying out its illegal attempt to shortchange defrauded Corinthian students. The district court also halted collection efforts on federal direct student loans originating from Corinthian's fraud. The brief was filed by the Attorneys General of California, Illinois, Maryland, Massachusetts, New Jersey, New York, North Carolina, and Washington.